The word “by” is very common in English. It can be used in lots of different situations and contexts. It is mostly used as a preposition but it can also in fact be used as an adverb. In this article, I explain the common uses of “by” as a preposition. This structure describes how you travel somewhere. This structure describes how you communicate with someone. This structure describes how you pay for something. This structure means to do something alone. This structure describes how to do something. It gives us more information about how to achieve a particular result. The phrase “pressing the button” describes how to do something (how to turn on the radio). We use this structure for deadlines. A deadline is the time before which something must be done. Students must enrol by the end of June. 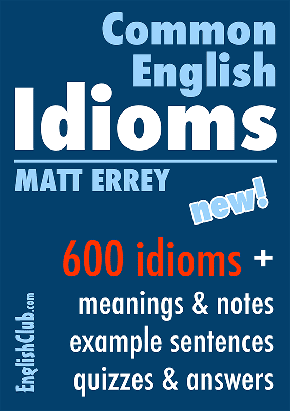 it’s very useful for me and my friends who wants to learn or improve English. Thank you for your very clearly explanation. thank you very much authors and visitors in this site. it is high time you had opened an online university. undertake the challenge now. I’m from Sierra Leone. +23278165060. Thanks. Very useful and helpful. Thank you . Thank you for the prepositions information; it has helped me understand better the rules. I’m looking for better writing skills. Thanks for sharing your wealthy information.I get a help from your article. 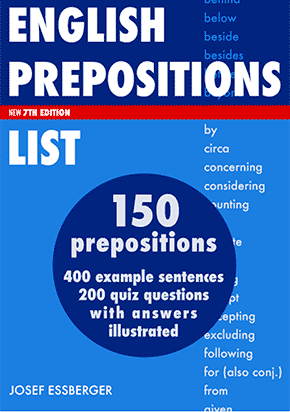 If you want to know about it, you should go through preposition phrase.It is helpful to you. This webpage describes “How to use “by”” so easily and clearly for beginner. Very useful topic about the way of using the preposition By in a contex. Thanks for this interesting article; it was very useful for me. I hope to continue receiving more articles like this. I hope to continue receiving articles like this. i m relay interesting to learn grammar. Avery day i watch your video clip. its so interesting. every day i,ll practice it. This kind of article will help alot of people to understand the using of by. I realy enjoyed with the way you explain this article. It was a productive article.we enjoyed reading it .Thanks to both of you for writing such an exceptional and worth reading articles. THank you Mr Josef,Mr Andrew and English Club as a whole. i really appreciate it. It is useful. So i hope that i will be get more great guidances from you. Thank you so much! What’s the time by your watch? It is very nice lesson. I myself had many problems for using “by” as a preposition. I had never seen like this lesson in any website. Thanks to English Club for presenting these beautiful lessons. Thanks to Sir Josef for sending me emails about these lessons. I hope Sir Josef to visit IRAN one day and take him to historical places of my country like Persepolis. Great for students as well as for teachers. I must just thank you! While reading the description of the article, I tried to think about various uses. Having read it, I realised that I know of one use that was not directly covered. It relates to first use, but lacks the actual place, or splits the place from the occurrence of “by”.
. Why don’t you drop by and see for yourself?
. I will be at home, if you want to come by. Given how confusing this construct must appear to non-English speakers, I thought that it was worth mentioning. Having written this, I have realised that the expression “come by” itself has at least two meanings. The first is as shown in the second example above, meaning “come to where I am”.
. I will give it to you if I come by one. I am not certain that this use is “good English”, but it is certainly used on occasions. Great examples, clear and understandable. I have a better idea about how to use the preposition “by”. I like the style. It’s clear, easy to understand and to pass on to others in the classroom and elsewhere.